At the recommendation of Joseph Henry of the Smithsonian, on February 9, 1870 the US Congress authorized "the Secretary of War to take meteorological observations at the military stations in the interior of the continent, at other points in the states and territories of the United States, and to give notice on the Northern Lakes and Sea-coast, by magnetic telegraph and marine signals, of the approach and force of storms." In 1871, Congress extended this authorization to river stages and floods, and in 1872 this was further extended to predictions for the benefit of agriculture and commerce. Due to the involvement of telegraphy, this task was assigned to the US Army Signal Office, later referred to as the Signal Service and now the Signal Corps. Assignment of this responsibility to the army is at the root of the establishment of a government weather service in the US. The Chief Signal Officer of the US Army at the time was Colonel Albert J Myer (1828-1880). The Signal Service was authorized in 1860 and created as an organization in 1863. Myer served with the Signal Service during the American Civil War. Fort Myer in Virginia is named after him. By 1872 there were 66 stations in the Signal Service observation system. The "method of simultaneous reports", in today's terms synoptic meteorology, was used. Three observations per day were reported. In 1873 Myer proposed the world-wide exchange of simultaneous weather observations at the International Meteorological Congress in Vienna, presaging the WMO. The proposal was adopted, and by 1874 the international exchange of observations became extensive. The completion of a dependable transatlantic telegraph cable in 1866 facilitated this. Beginning in 1875, a daily international bulletin was issued by the Signal Service, including data from most of Europe, China, Japan, Australia, Latin America, South Africa, and reports from ships returning from sea. ​On November 4, 1870, the first weather bulletins were telegraphed out by the Signal Service, based on simultaneous weather observations from 24 stations. The first storm warning, on the Great Lakes, went out a week later. The data collection under the Signal Service was performed by military personnel, but the forecasting was performed by both civilians and military officers. 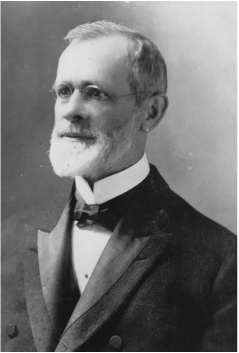 The Chief Meteorologist in January 1871 was Cleveland Abbe (1838-1916), who previously performed forecasting duties at the Cincinnati Observatory. Abbe selected the instrumentation to be used and trained the military observers. 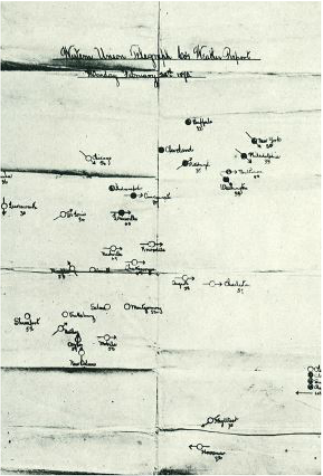 At first he produced the weather maps, later he supervised their creation. 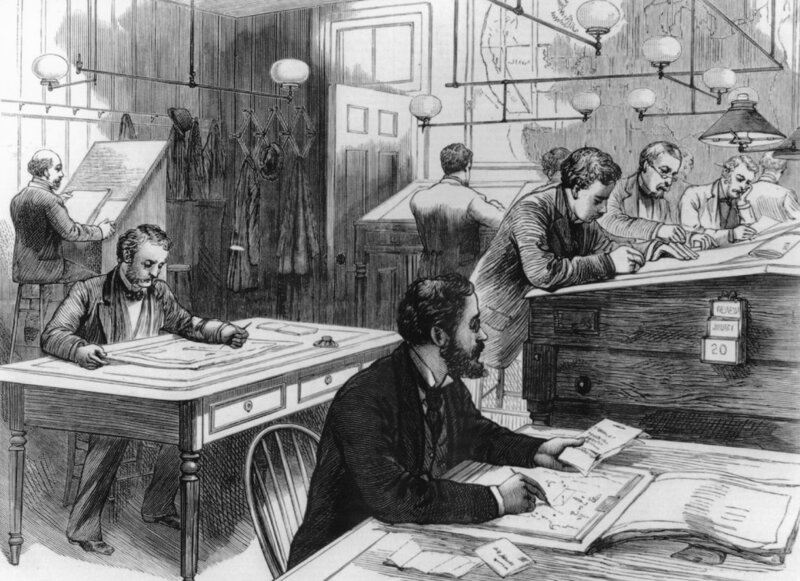 In February 1871, Abbe sent out his first Signal Service forecast. Abbe also founded the journal Monthly Weather Review in 1872. The US Weather Bureau continued its publication until 1970, and it is currently published by the American Meteorological Society. Abbe was also the force behind the adoption of standard time zones in the US, initially by railroads in 1883. Cleveland Abbe's meteorological career continued well beyond the Signal Service years. He served as Chief Meteorologist in the US Weather Bureau, continuing to work there until his death in 1916. Many people consider him to be the father of the US National Weather Service. At first Signal Service forecasts were made for 24 hours ahead and included the state of the weather, wind, pressure, and temperature. Forecasts were made 3 times a day and applied to 8 to 11 districts which covered the United States. In 1885 this was changed to 32 hours ahead, and to 36 hours in 1888. In 1874, the station instrumentation at Chicago (a major station) included "Two standard barometers, three standard thermometers, one standard minimum thermometer, one standard maximum thermometer, one standard water-thermometer, one standard hygrometer, one standard anemometer, one self-register for anemometer, one standard wind-vane, one standard rain-gauge." At Dodge City, Kansas (a lesser station) the instrumentation included "One standard barometer, one standard thermometer, one standard minimum thermometer, one standard maximum thermometer, one standard hygrometer, one standard anemometer, one small wind-vane, one standard rain gauge." ​Upon Hazen's death in 1887, Major General Adolphus Greely (1844-1935) became Chief Signal Officer. Greely was a former polar explorer and is best known for a disastrous 1881-1883 expedition he led to the arctic where 19 of his 25-man crew died before a rescue expedition arrived. Greely attempted to calm the discord that arose under Hazen, but it was becoming clear that the army was not happy with running what was essentially a civilian service. By 1890 the importance of weather predictions and climatic data in agriculture, commerce and daily life prompted a move to a weather bureau not associated with the military. On October 1, 1890 the US Congress approved the transfer of the weather bureau from the Signal Service to the US Department of Agriculture. The transfer became effective on July 1, 1891, ending the Signal Service weather bureau years. The US Army continued to train meteorological personnel for military service into the 20th century, but their domestic weather services had come to an end. ​Annual reports of the Chief Signal Officer to the War Department for 1870 - 1891 can be downloaded here via Dropbox, courtesy the NOAA Central Library Data Imaging Project. I find the 1872 annual report particularly interesting for its first-hand report of the great Chicago Fire of October 1871, which destroyed the weather station and a large part of the city.